Originally published under the title, "Coming of Age in Sinai." 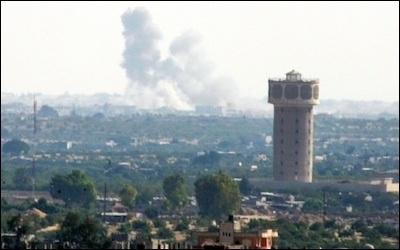 A view from Gaza of fighting in Egypt's northern Sinai between government forces and Islamic State-affiliated gunmen on July 1. The Sheikh Zuweid attacks demonstrated a level of tactical proficiency and sophistication hitherto not seen in Sinai's Islamic State affiliate. The jihadists used sophisticated weapons systems, reportedly including Russian-made Kornet antitank missiles, and antiaircraft missiles. They also deployed suicide bombers as a weapon of war, rather than as terrorism, to telling effect against Egyptian Army positions. Recent attacks demonstrate a level of tactical sophistication hitherto not seen in Sinai's Islamic State affiliate. First, the notion that the former Ansar Bayt al-Maqdis's declaration of bay'ah (allegiance) to Islamic State was merely a formality, a proclamation devoid of content, should be abandoned. The tactical proficiency and the tactics utilized by Wilayat al-Sina in the Sheikh Zuweid attacks suggest that Islamic State fighters have been responsible for instructing the Sinai jihadists in their own way of war in the recent period. These methods have been responsible, of course, for Islamic State's considerable successes in Iraq and Syria over the last two years. 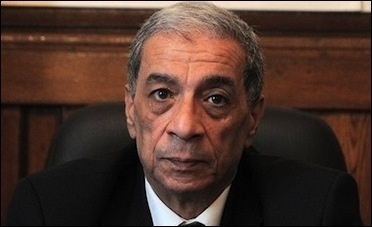 Egyptian State Prosecutor Hisham Barakat was killed by a car bomb on June 29. Barakat was killed in an upscale and well-defended suburb of Cairo. The Sinai events indicate that the jihadists appear set to increase efforts to attain a point of friction with Israel to its south, having failed so far to achieve one in the north. Sinai jihadists hope to draw Israel into the cycle of violence. It is this latter factor that probably explains Israeli allegations of Hamas support for and cooperation with Islamic State affiliates in this area. If this support is indeed taking place (concrete proof has yet to be offered), it would be with the intention of utilizing the jihadists and their wide base of support among the north Sinai Beduin as part of Hamas's attempt to rebuild smuggling routes into the Strip. Ideological differences between the two would not necessarily trump practical cooperation. In any case, there is no clear, hermetic dividing line between Muslim Brotherhood/Hamas adherents and the Salafi trends that spawned Islamic State. Many Izzadin Kassam (Hamas's military wing) fighters are themselves sympathetic with the Salafi trend. Certainly, Hamas's crackdown on other, self-proclaimed Islamic State supporting groups in Gaza itself would form no barrier to working together with the officially acknowledged Islamic State franchise to the south. So the events of the past two weeks mark the arrival of Wilayat al-Sina as an important new player in Islamic State's ongoing effort to destabilize the region. Israeli-Egyptian security cooperation is already at an all-time high because of this joint threat. Jerusalem will be hoping that Egyptian efforts to root out the jihadists will bear greater fruit in the months ahead. Until they do, Islamic State is in Sinai.